Use texture fills for slide backgrounds in PowerPoint 2016 for Windows. Textures are the "in" thing even in a world that looks so much at the new flat design concept, and the reason is not difficult to understand. The right texture can add interest, and make your slide content look crafted. To understand this better, look at Figure 1, below, the textures used for slide backgrounds on the left have either too much detail or possess very dark and saturated values color-wise. The textured backgrounds on the right side are just right in comparison, they are simple, uncomplicated, and do not distract from the rest of your slide content. iii. Online: This brings up the Insert Pictures dialog box, as shown in Figure 6. Within this dialog box you'll find the online picture service providers such as Bing Image Search listed, and also your OneDrive account. Other than these three services you can add pictures from your Facebook and Flickr accounts, but only after you connect to these accounts from within PowerPoint. Learn more in our Insert Online Pictures in PowerPoint 2016 tutorial. 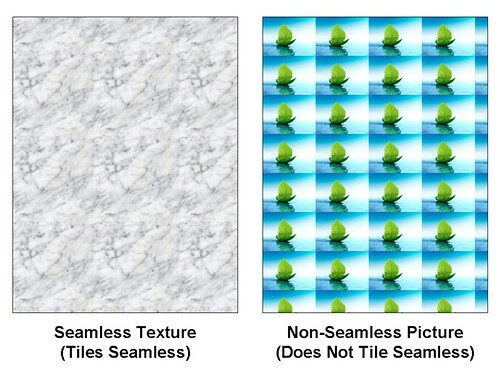 These options show up in the Format Background Task Pane only when the Tile picture as texture check-box is selected. These options are explained in the Tiling Options tutorial, do note though that the linked tutorial relates to shape fills but those options work in the same way for slide background fills.